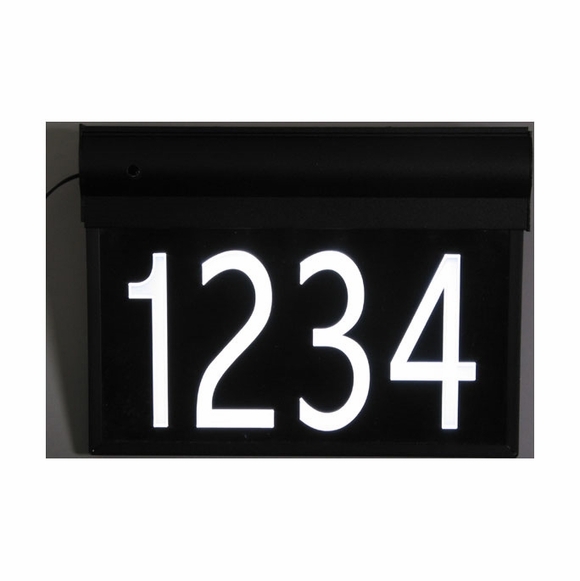 This LED address sign holds up to six 5" high numbers (all characters must be numbers). Dimensions: 14"L x 9.5"H x 1.75"D. Completely weatherproof aluminum construction. Includes stainless steel screws, mounting hardware, and 12-volt adaptor. 20' power cord. UL approved. 1-year mfg. warranty.